We recently did a series on Google AuthorRank, and in that, we stressed the importance of setting up authorship for your site. But before you can take full advantage of having a site and setting up authorship, you first need to verify ownership of your site in Google Webmaster Tools. Verifying ownership of your site is one essential step you cannot afford to skip, because it allows you to see very valuable information related to your site. In this post, we will talk about the different ways you can verify ownership of your site, and let Google know that you actually own a site. Verifying your site through Google Webmaster Tools opens up a secure communication channel between you and Google. For example, Google will show you confidential information, such as search queries that land visitors on your site. You can also use this to associate your site's content according to your audience by demographics or geographical location etc. 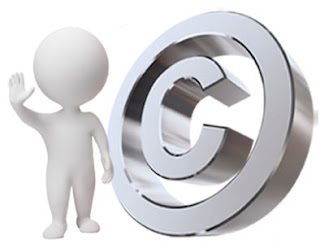 You can verify ownership of any kind of website. You can, for example, verify a sub-domain (mydomain.example.com), or a site with www (www.example.com), or a whole domain (example.com), or a sub-directory (example.com/mysite), and so on. Once you verify your site, you can easily manage or add more owners, or managers/moderators for your site. By now, I am assuming that you've already added your site in Google Webmaster Tools. If not, then you can easily do so by signing-up for Webmaster Tools, and clicking on the Add Site button from the dashboard. Once added, you can then verify ownership using one of the following methods. This method is for you if you want to verify multiple sites, such as a multinational corporate website having many sub-domains, such as us.example.com, or eu.google.com etc. 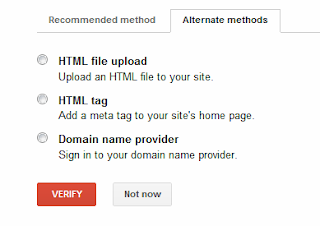 To verify your site using this method, log into your Google Webmaster Tools account, and click on Manage Site next to the site you want to verify ownership for. Then click on Verify Site. Now click on Alternative methods, and choose Domain name provider. This method verifies your site through your registrar or domain name provider. In most cases, this is the company you bought your domain or hosting from. Choose your domain name provider from among the ones listed, and then follow the simple steps. If, for some reason, you are unable to complete verification, or if you're not able to find your domain name provider listed, then you can use another method of verifying your site. If you are the site owner, and are able to upload a file to your site's root directory either through an administration tool (cPanel) or through an FTP account, then you can use this option to verify your site. You will be asked to upload an HTML file to the root directory of your site. This is the main folder of your site where your index.html (or a default page) is found. For example, www.mysite.com/filename.html. If you're familiar with HTML syntax, and can write HTML meta tags, then this is a good option for you. You will be asked to add a tag to let Google know that you actually own the site. This is, by far, the most convenient option. If you have set up a Google Analytics property for your site, then you can use that to verity your site within Google Webmaster Tools. Just log into your Google Analytics account, and follow the simple steps to verify your account.